We don't sell your data, or share it with any third-party, unless required by law. When you edit your form, go to Options -> General, and make sure Auto Save Form Progress option is not checked. Ask for consent in your forms. 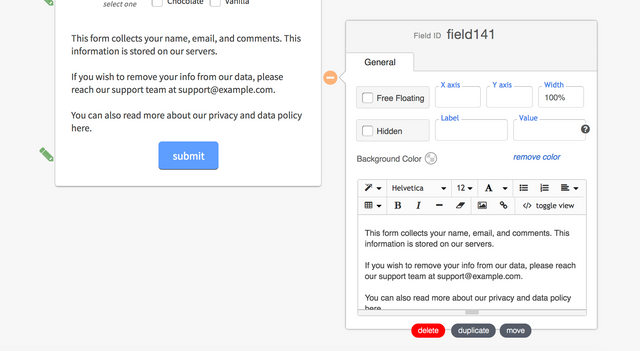 Add a custom text field to your form, stating what data you collect from the users. We also recommend giving your users a way to reach you in case they wish to be forgotten from your servers. If you wish for us to delete your account and all data there in, please reach out to us via Dashboard -> Help -> Contact Support, mentioning GDPR.